Arun Jaitley said RuPay's total transactions had leapt to Rs 8,430 crore ($1.16 billion) as of September, from Rs 1,100 crore before demonetisation. Arun Jaitley spoke about surging growth of RuPay and UPI, on the second anniversary of notes ban. Finance minister Arun Jaitley said on Thursday that Mastercard and Visa were losing market share to domestic payments networks, months after Mastercard complained to the US government that Prime Minister Narendra Modi was using nationalism to promote a local rival. He spoke about the surging growth of RuPay and Unified Payment Interface (UPI), which allows swift inter-bank fund transfers, on the second anniversary of PM Modi's shock decision to replace high-value bank notes in a bid to flush out untaxed wealth. PM Modi has said when Indians use RuPay they were serving the country as its transaction fees stay within India and could help build roads, schools and hospitals, an endorsement that has worried Purchase, New York-based Mastercard, which is the world's second-largest payments processor. "Today Visa and Mastercard are losing market share in India to indigenously developed payment system of UPI and RuPay Card, whose share have reached 65 per cent of the payments done through debit and credit cards," Mr Jaitley said in a Facebook post about the various results of the note scrapping exercise, known as demonetisation. Visa declined to comment. Mastercard did not respond to an email seeking comment. RuPay process payments between banks and merchants for purchases made with credit or debit cards, while UPI instantly transfers funds between two bank accounts linked to mobile phones. Mr Jaitley was referring to the volume of transactions, not the value. Though RuPay, owned by many Indian and foreign banks, accounts for more than half of India's 1 billion debit and credit cards, industry sources say Visa and Mastercard still process the vast majority of the value of payments transactions in the country. Payments transactions in the country were worth $51 billion in August, according to central bank data. Arun Jaitley said RuPay's total transactions had leapt to Rs 8,430 crore ($1.16 billion) as of September, from Rs 1,100 crore before demonetisation. Total transactions done using UPI had jumped to Rs 59,800 crore ($8.26 billion) from Rs 50 crore in October 2016, around the time it was launched. Reuters reported last week that Mastercard complained to the Office of the United States Trade Representative on June 21 that PM Narendra Modi "associated the use of RuPay cards with nationalism, claiming it serves as 'kind of national service'." The Mastercard note said that while PM Modi's digital payments push was "commendable", the government had adopted "a series of protectionist measures" to the detriment of global companies. The story sparked a backlash on social media against Mastercard in India, one of the world's biggest payments growth markets. Several people said on Twitter they had asked their banks to replace their Mastercard with RuPay, with some using the hashtag #BoycottMastercard to voice their concerns. One user posted a picture of a Mastercard cut into pieces, while another named Ramesh uploaded a graphic with a Mastercard logo on a toilet flush. A spokesman for the Delhi arm of PM Modi's ruling party, the Bharatiya Janata Party, said he had asked his bank to cancel his Mastercard and switch to RuPay. Mastercard did not respond to Reuters' emailed request for comment on the social media backlash. Ashwani Mahajan, who heads an economic group, Swadeshi Jagran Manch, which is linked to the ideological parent of PM Modi's party, said on Thursday that companies such as Mastercard should be "competing with RuPay, not complaining to the US government". "They have enjoyed their market share for so long, we have the right to protect and promote our economic interests," Mahajan told Reuters. 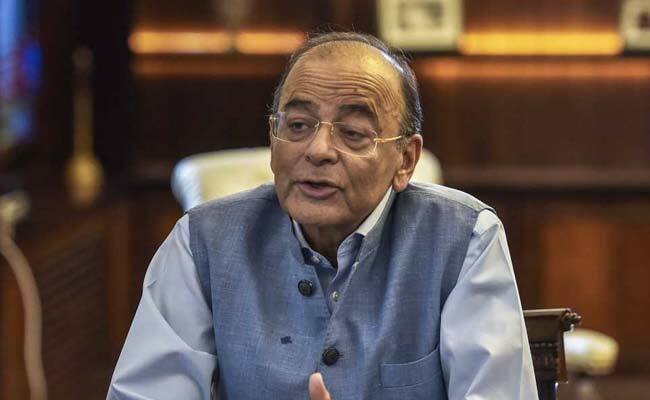 Arun Jaitley Lauds Budget Announcements, Calls It "Fiscally Prudent"